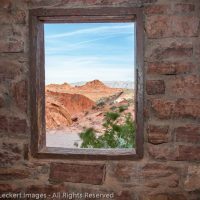 Last spring I decided to do a loop around Nevada in search of wildflowers and other interesting photographic subjects. 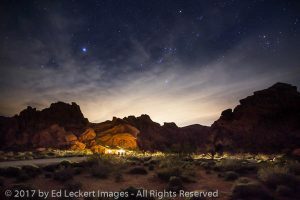 After wrapping up my first major stop in Great Basin National Park, it was time to head south to the place that had inspired the trip in the first place – Valley of Fire State Park. Valley of First State Park is in southern Nevada about 55 miles from Las Vegas, and where it gets its name should be perfectly obvious to anyone visiting there. The park is home to fiery red sandstone formations, formed from great shifting sand dunes about 150 million years ago. 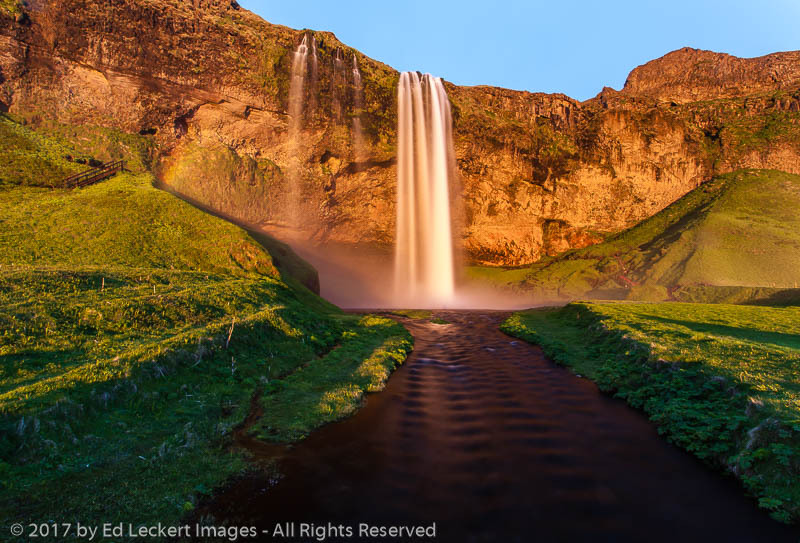 Uplifting, faulting, and erosion have combined to create the current landscape. My plan was to stay at one of the campgrounds in the park, all of which are first come, first served. 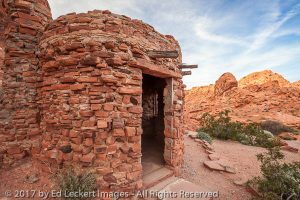 I left Great Basin National Park as soon as the first morning tour of Lehman Caves was over (the subject of last week’s article, Underground Adventure) and headed straight for Valley of Fire. Unfortunately, I wasn’t quick enough, and all of the campsites were full. So I moved on to Plan B, which was to camp at a nearby campground the first night and get back here early enough the next day to secure a site. Plan B worked. 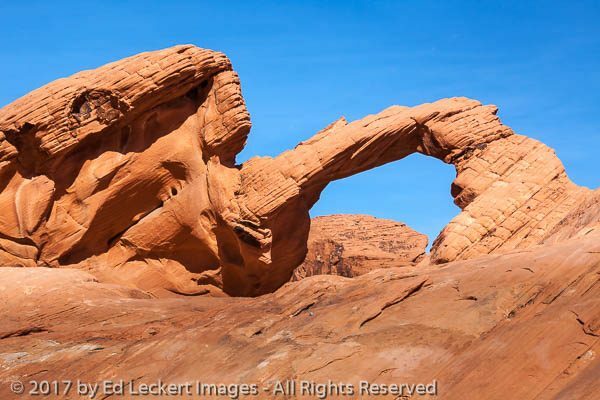 Arch Rock, one of many beautiful sandstone features in Valley of Fire State Park, Nevada. Like so many state and national parks in the desert southwest, Valley of Fire has sandstone arch formations. One of the best was not too far from my campground, and was named, appropriately enough, Arch Rock. For some reason, the structure to the left of the arch originally reminded me of the Great Sphinx of Giza – I really can’t explain why that is. Looking at it more carefully, I now see a grumpy old creature reaching out to pet his cat. What do you think? 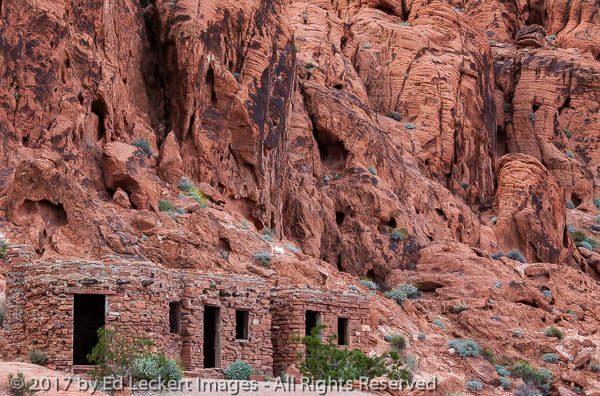 These historic stone cabins, blending in perfectly with the cliffs behind them, were built with native standstone by the Civilian Conservation Corps in the 1930s as a shelter for travelers, in Valley of Fire State Park, Nevada. These historic stone cabins were built with native standstone by the Civilian Conservation Corps in the 1930s as a shelter for travelers, in Valley of Fire State Park, Nevada. My next visit was to The Cabins. These historic stone cabins were built in the 1930s by the Civilian Conservation Corps as shelters for travelers on the Arrowhead Trail. The Arrowhead Trail or Arrowhead Highway, built around 1915, was the first all-weather road in the Western United States that connected Los Angeles to Salt Lake City, and was considered a milestone of progress in its day. 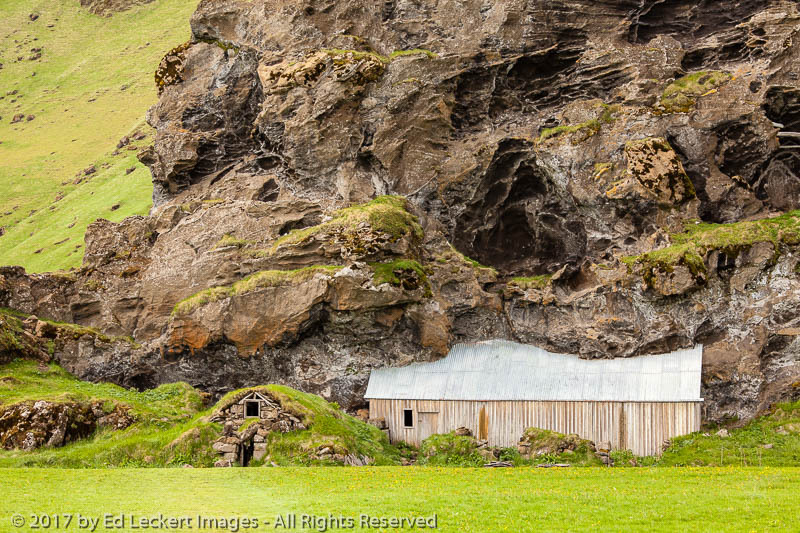 The cabins were built with native sandstone, which explains why they blend in so perfectly with the sandstone cliffs in the background. I especially like the image below taken through one of the windows in the cabins. The view from the cabin is so beautiful, it looks like a paining on the wall, at least to me. 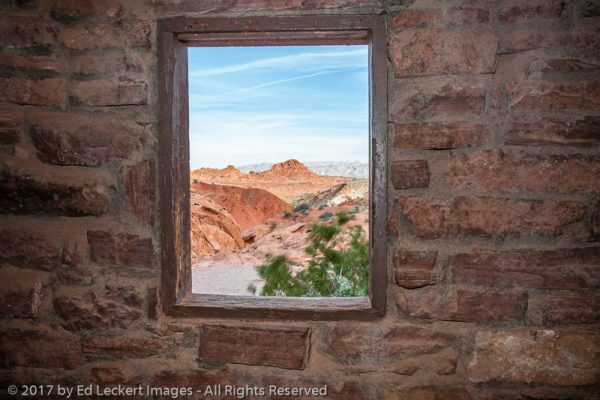 The view from one of The Cabins, historic stone structures built with native sandstone by the CCC as a shelter for travelers of the Arrowhead Trail, in Valley of Fire State Park, Nevada. Sandstone formations, like so many other landscapes, tend to look their best in the early morning or late afternoon sunlight. I came across this scene of sandstone and wildflowers just before the sun disappeared over the horizon. 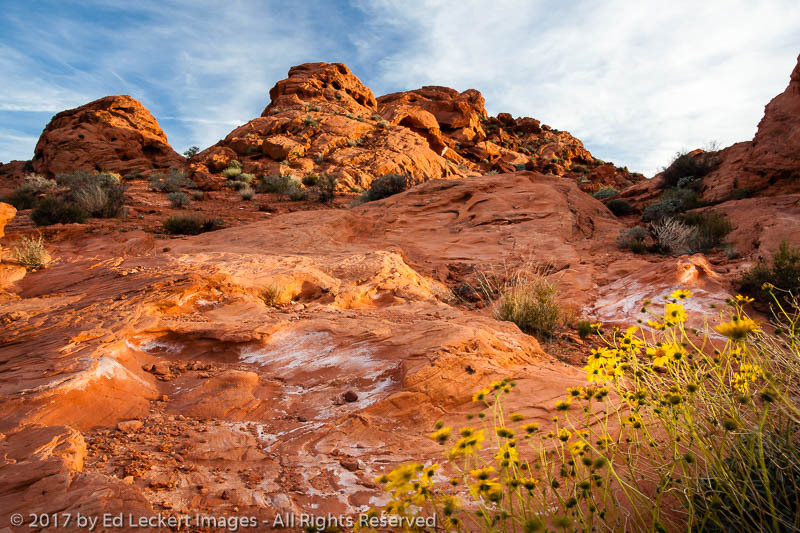 Sandstone and wildflowers are lit by the late afternoon sun, in Valley of Fire State Park, Nevada. 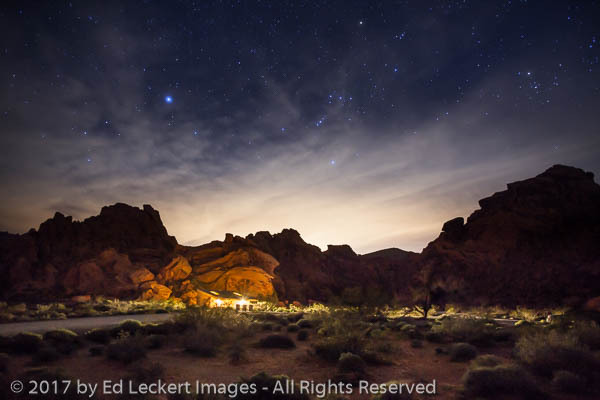 Light pollution from distant Las Vegas fills the desert night sky at the Atlatl Rock Campground, in Valley of Fire State Park, Nevada. Back at my campsite, I noticed the lights from the campground bathrooms lighting up the rocks behind the building. I also noticed a tremendous amount of light pollution coming from the city of Las Vegas 55 miles away. I won’t go into a tirade about light pollution here, but as a photographer who loves to photograph the night sky, it’s a subject that’s very important to me, and one which I’ll be writing about in a future article. 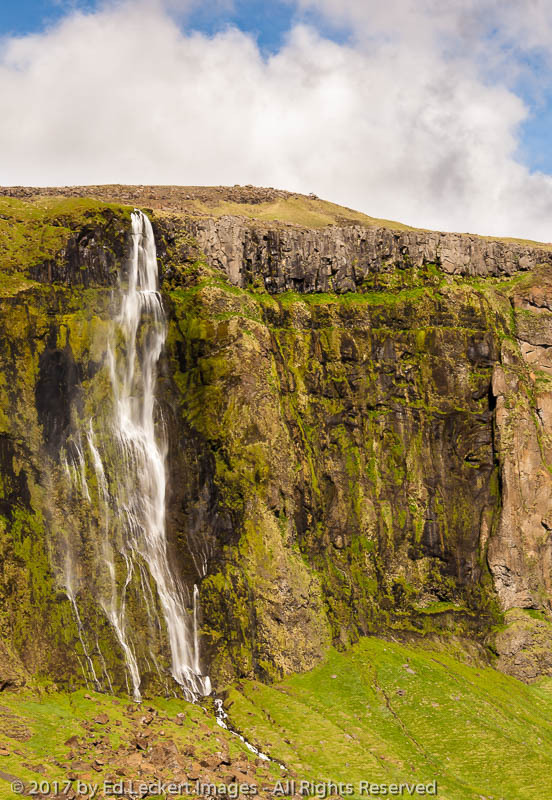 Check back next week, and we’ll explore locations in the park that are a bit more remote.